Experience better oral health with Periodontist, Andrés R. Sánchez. 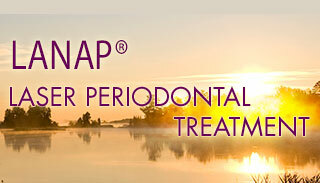 Dr. Andrés R. Sánchez is a periodontist at PerioWest in the Twin Cities area. His practice specializes in progressive treatment of gum disease including cosmetic procedures to aesthetically enhance your smile and dental implants that can replace missing teeth. He also diagnoses and treats oral pathology. Although no one really likes to go to the doctor or dentist, we strive to make your visits with us as comfortable and as pleasant as possible. We strongly believe that our patients’ comfort is an important part of quality dental care. Our mission is to treat every patient as if they are our only patient. Our office is located in Eden Prarie, MN, but our periodontist serves Minneapolis, MN and the surrounding areas, as well! LANAP™ is a gentle, conservative, less-invasive method of treating gum disease with no cutting, suturing or removing tissue. Using the Millennium Perio-Lase Laser, periodontist Dr. Sanchez is able to kill up to 99% of the disease-causing bacteria in the periodontal pockets. If you have missing teeth or fixed bridge work that you're unhappy with, you may be a candidate for Dental Implants. Dental Implants are the most natural replacement for missing teeth and help to prevent face disfiguring bone loss. Give our periodontist in Minneapolis, MN a call today to see if you qualify! A diplomate of the American Board of Periodontology has made significant achievements beyond the mandatory education requirements of the specialty of Periodontics.